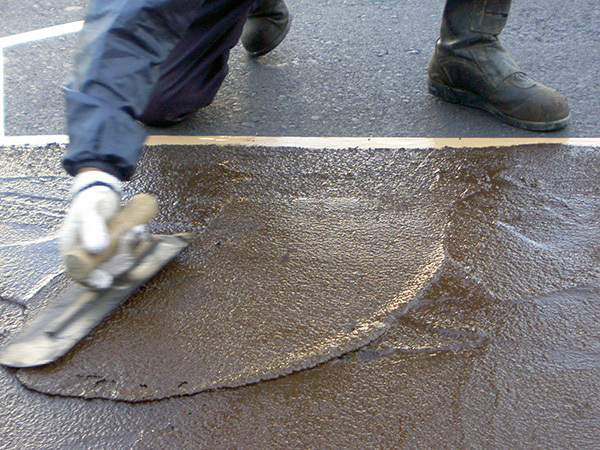 ROMENPATCH is a cold applied asphalt emulsion mixture for the purpose of repairing paving bumps and fixing potholes. 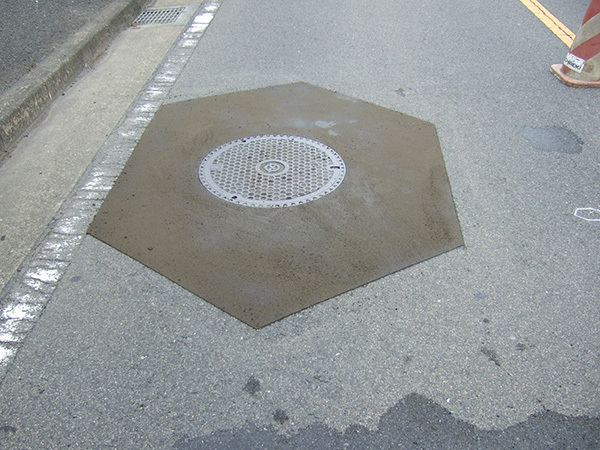 After pouring the asphalt emulsion in to the transparent bag containing the aggregate, mixing can be carried out simply by shaking the bag. Pour the mixture into the location that you wish to repair, and use a trowel to carry out the finishing. The trouble of weighing and of using machines will not be required.